Yesterday, 13th October 2016, King Bhumibol Adulyadej of Thailand, died at the age of 88 at the Siriraj hospital in Bangkok. 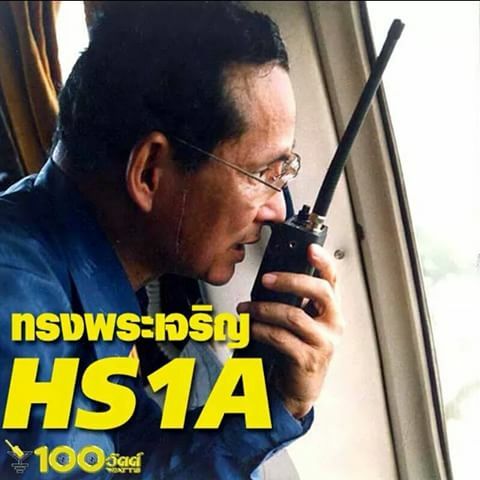 His Majesty the King had been presented the callsign HS1A by the Ministry of Communications at Chitrlada Palace on August 18, 1989 in a ceremony witnessed by RAST officers. Five years later, in November 1984, His Majesty placed RAST under his royal patronage.